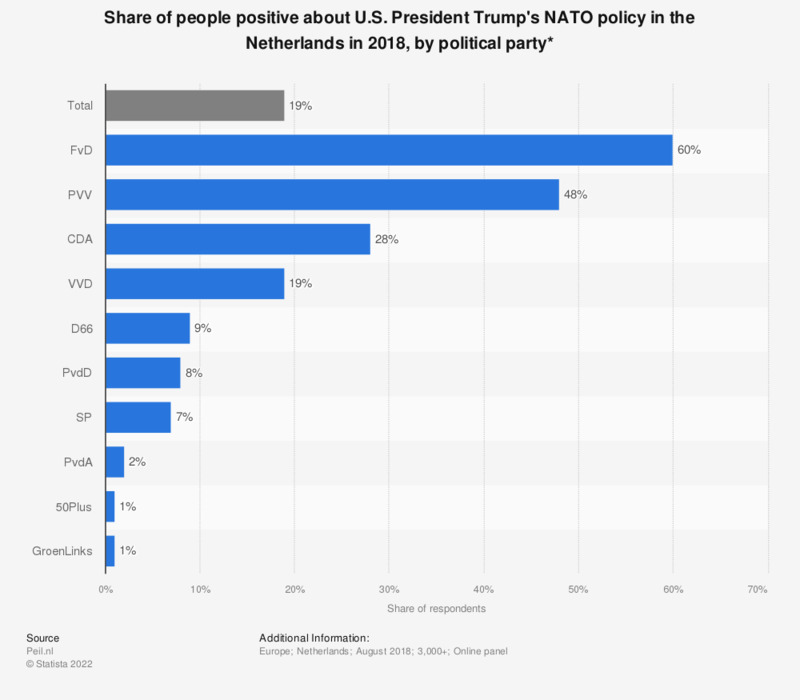 This statistic shows the share of people positive about U.S. President Trump's NATO policy in the Netherlands in 2018, by political party. Only 31 percent of the respondents taking part in this survey stated to be positive about President Trump's NATO policy. The highest approval rate was found among Forum voor Democratie (FvD) voters, whereas only one percent of the GroenLinks and 50Plus voters approved of Trump's NATO policy.